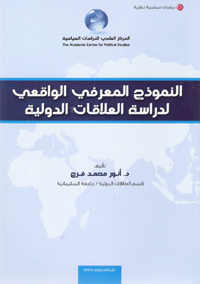 The book "The cognitive model unrealistic for the study of international relations," Dr. "Anwar al-Faraj," which was issued by the Scientific Center for Political Studies / Jordan, one of the most prominent books theory that dealt model realistic in the study of international relations;, where he focused the book on the use of the model realistic knowledge in the study relations. The importance of this book from being treated practice of international politics and its impact on foreign policy of the States, and also set forth the currents and trends of contemporary and diverse in form of cognitive realistic. 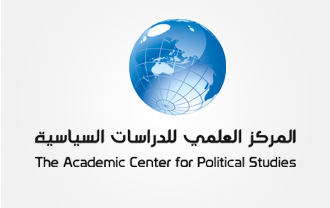 The study began offer a theoretical model of the structure of the traditional cognitive realistic, then touched upon the developments witnessed by the theoretical model of cognitive realistic through Almirkantilah realism, in addition to developments in the real model in the field of security studies through the theory of "defensive realism - offensive." The study found that the cognitive model realistic traditional focus in building the assumptions and rules of interpretation and agenda of research on the concepts of national power and national interest of the state, with a focus on the essence of hard policy, whether internal or external, as shown through research that the contributions of the new model realistic did not come out - radically - from the concepts and arguments form the traditional realist. Given the events of September atheist ten neo-conservatives ammunition to push the United States toward the adoption of a pre-emptive attack, but the chaos that stemmed from the war against Iraq has undermined their own logic, and made it politically impossible to continue working on their plan until completion. With regard to U.S. foreign policy after the Iraq war, there are debates between neo-conservatives and neo-realists. The neocons Phippnon principles of their foreign policy on key assumptions: first, that the world has become a place increasingly serious threats defects can not be deterred or contained, and secondly to take the fight to the enemies of America Square so that the fighting is far from American soil. I've joined realists new to the neo-conservatives in the drumbeat of war; because they agreed that Saddam Hussein was an imminent threat to the homeland the U.S. and U.S. interests abroad, but realists neo reached then to the conviction that the threat to American interests bio is no longer imminent, and so wore quickly American strategists traditional variants, two of deterrence and containment.